Brac is the largest island in Dalmatia at 150 square miles (394 square km) in size (the third largest in the Adriatic). It is also one of the sunniest with 2,700 hours of sun annually. With its proximity to the mainland – to the city of Split in particular – the island is also very easy to reach. The island is known for its fishing and agricultural products with locals producing good wine, olive oil, figs, nectarines and other fruits. But the main export is, and has been from ancient times, the famous Brac stone. From this, many famous buildings in the world have been built, including the White House in Washington D.C., Berlin’s Reichstag, and the Catholic cathedral in Liverpool. Closer to home, Diocletian’s Palace in Split and the cathedral in Trogir, have also been constructed from this material. 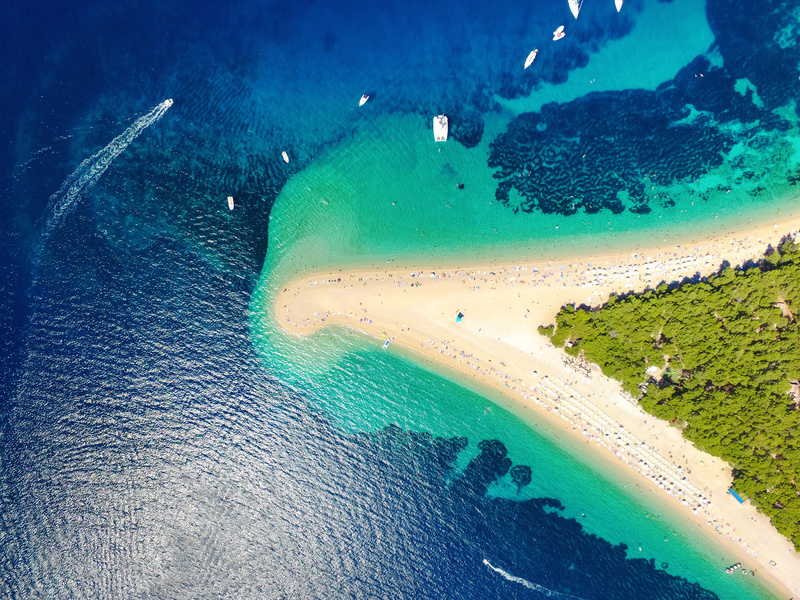 The main resorts are Supetar, Bol – home to one of the most famous beaches in the Adriatic, the Golden Horn (Zlatni Rat) – Supetar, Sutivan, Milna and Sumartin. Choose from our pages below to learn more about the island, how to get there, what to see and where to stay! 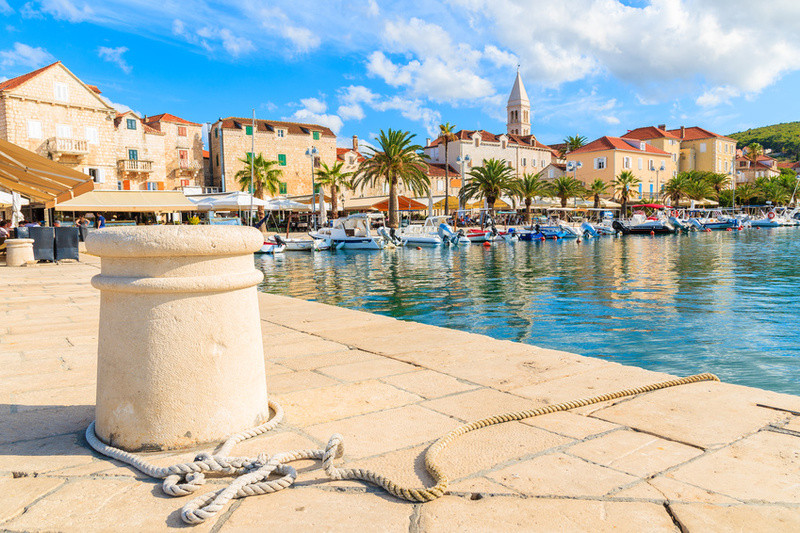 As with many of the Dalmatian islands, Brac has a long history under many of the Empires that controlled this part of the world over the centuries. Read more about this here. There’s a wide variety of options in all of Brac’s resorts, including hotels, villas, private accommodation and even some remote cottages. Footsteps in Croatia Offer a walking buddies programme for Brac, in which they share their passion for walking with like-minded people whilst taking in the many places of interest on the island. There is no charge for participating in the walks, although a contribution to petrol is asked for if using their car. Any tips go towards Breast Cancer Research.